If you thought the Taurus Judge couldn't get any better, you have to see this. 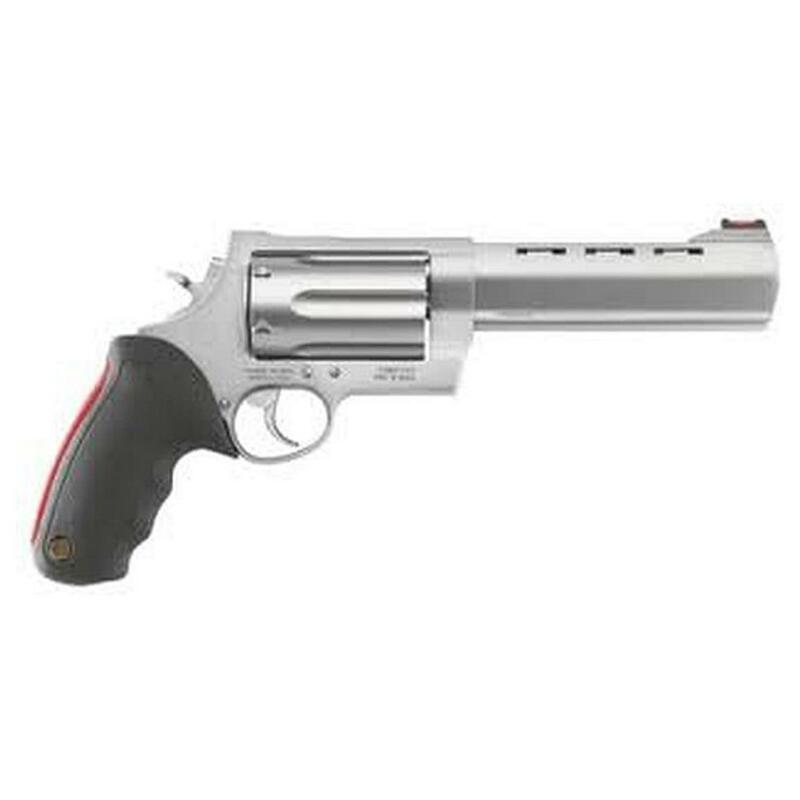 The new Raging Judge is chambered in .454 Casull in addition to delivering the same popular combo revolver of the original Judge models, and packs a giant 6-round cylinder. Besides added capacity, the Raging Judge features the famous red "Raging Bull" backstrap for added cushioning, a fiber-optic sight for topnotch accuracy, and the Taurus Security System. Taurus 513 Raging Judge, Revolver, .454 Casull./.410 Bore/.45 Colt, 6.5 Barrel, 6 Rounds is rated 5.0 out of 5 by 1. Rated 5 out of 5 by Beowulf from Wow.... This thing is a MONSTER! Women faint, children start crying, men of weak constitution wet themselves...joking. It is massive, but then it has to be to control the recoil, which it does (but barely). Yes, it definitely has some recoil, but it is manageable. Very accurate and a lot of fun. Couldn't be happier with my purchase. Charter Arms Undercover Lite, Revolver, .38 Special, 2"
Might be the most potent concealed-carry revolver in the world. Personal protection doesn't have to weigh you down.